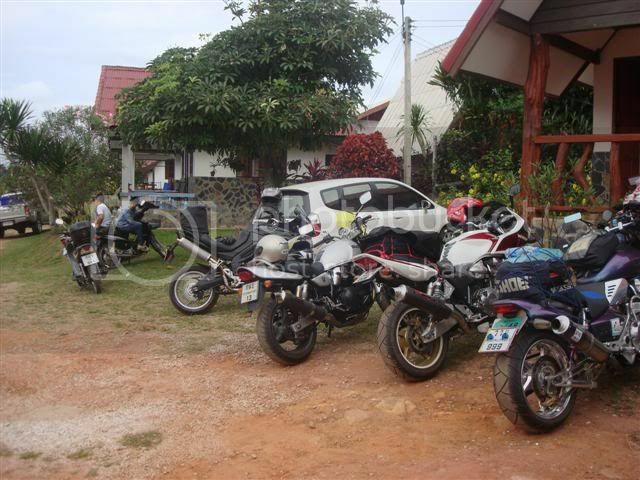 Loei Bike Party and Pee Ta Khon Festval. Early Last week I got a Text from Ritchie asking if I wanted to Join them for a Ride? As I haven’t been on My Triumph since the Triumph Weekend here in Chiang Mai some Weeks back i said Yes!!! Next Question where are we going??? 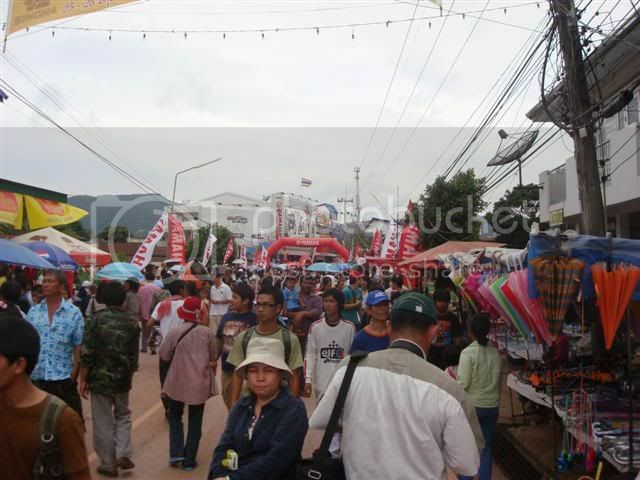 Loei they said so Great, I find out later it was to Join the “Loei Meeting Bike Party #2” Even Better, Also to check out the “Pee Ta Khon Festival” in Dansai at the Same Time, Still Even Better!!! We meet up on Friday Morning at Ritchie’s Shop then headed off about 9:30 or so. 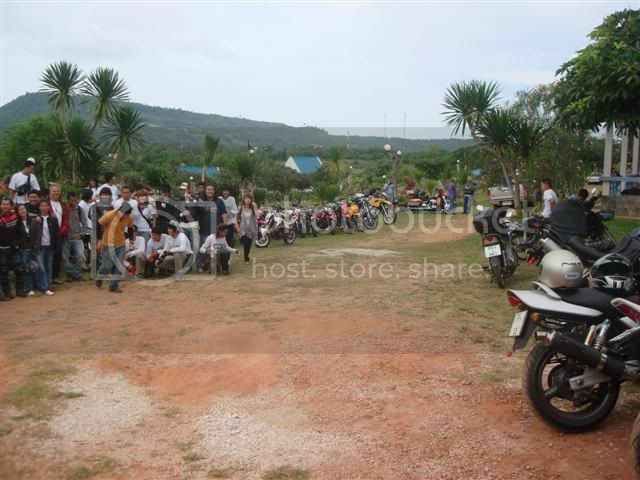 Great Ride all the way taking some very Scenic Roads to Dansai then on to a Resort the Bike Party Guys had arranged! Good Times had By all and Well Organised. A Pickup with Huge Cool Box filled with Ice & Beer, Food and later in the Evening a Barbecue!!! Next Morning we all meet about 8:30 for breakfast and time to Leave on Our Ride. Up to this point i had been to Lazy to take any Photo’s but managed to snap a few for the rest of the day. Ritchie and a friend with Robert. A Couple of Group Photos before we left on Our Ride! 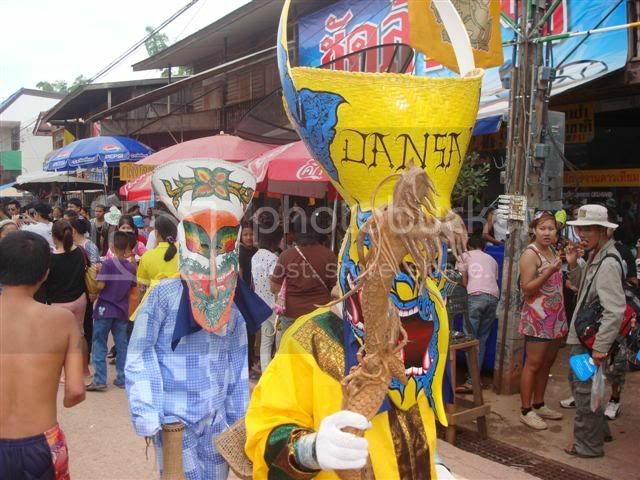 We first Rode down to the Pee Ta Khon Festival in Dansai to have a look. It was pretty Crowded and created quite a Traffic Jam in and Out of the Small Town so we didn’t stay long really. Unbelievable amount of Bikes with Huge Groups of small Scooters, KSR and D-Tracker Clubs, a real sight to see, Great Stuff!!! Not Sure what this Guy has in His Hand or What He intends to do to the Girl with it!!! Later we left on a long Ride around the Country back Roads which was very nice. The Roads up there Rival the Best in Nan and if you haven’t been up that way put it on the List of Must Visit Places!!! Also the Weather is notably Cooler than here in Chiang Mai at Present which surprised Me??? Roads were great Besides one Excursion where the Road turned into Broken Potholed Gravel running along the Side of the Mekong, This made it a little Tough for the Harley Riders, But No problems! 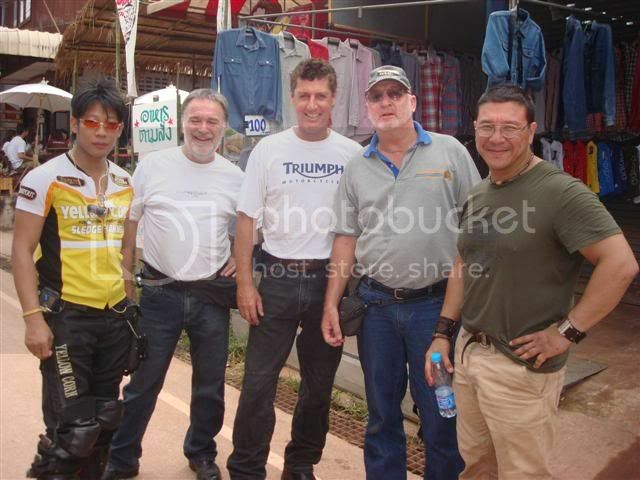 Evening we stayed in Loei and Watched the MotoGP with David then out for food. Went to the Biker Party for a few Hours which was another Well Organised event. I Turned in about 12:30 while the Others went to the Local Disco with the Legendary Coyote Dancers!!! On Sunday I had a important appointment back in Chiang Mai so I left Loei about 8:30 and Rode back by myself. Good Fast Ride and I was back in 6 Hours including Stops. And apart from Waiting in Lampang for 20 Minutes to let a Heavy Rain Downpour pass we never Got Wet the Entire Weekend, Brilliant!!! Great Ride and worthy of a Repeat Trip. ← Previous Story Bye Bye Butch, Hello E.T. Next Story → Mass Media Visit!! !